It was my great pleasure to have Richard W. Munchkin on this episode of the Oneouter.com podcast. Richard is some what of a renaissance man and an excellent raconteur. 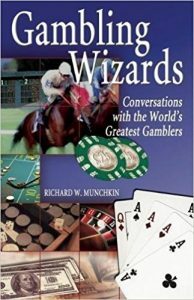 His book Gambling Wizards: Conversations With The World’s Greatest Gamblers along with Market Wizards by Jack D. Schwager were the inspiration for me to start the Oneouter.com podcast and interview some of the world’s top Poker players. He is author of Gambling Wizards: Conversations With The World’s Greatest Gamblers and co-host of the excellent Gambling With An Edge podcast which you can find here https://www.lasvegasadvisor.com/gambling-with-an-edge/. Richard is also an informed and accomplished gambler, film Director/Writer & Producer! Check out his IMDB for many martial arts classics that I used to rent on VHS! You can follow myself @oneouterdotcom & Richard W. Munchkin @RWM21 on Twitter. To order Richard’s excellent book on Amazon just click on the image below. 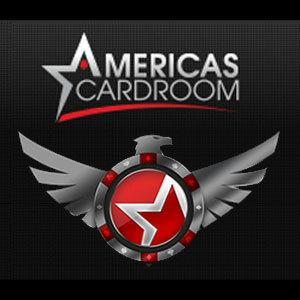 In this show, Richard talks about his gambling life as an advantage player (AP) including how he got started. He also offers advice to anyone thinking about venturing into the world of advantage play. Richard also shares some stories about some of the characters in his book, including the legendary Billy Walters & Chip Reese. I also ask about the illusive Mr James Grosjean. This episode is filled with lots of amazing stories and anecdotes that I’m sure you will all enjoy as much as I did. I cannot thank Richard enough for coming on the show, it was an absolute pleasure.